Here we are again. The days are getting shorter and shorter, the temperatures are dropping, and we’re even beginning to have to think about snow falling. 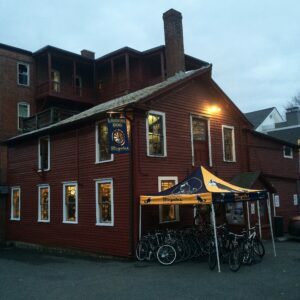 Usually, this isn’t the busiest time of year to be a bike shop, but in recent years there have been a few moves made in the industry to keep people on their bikes – whether indoors or out – through the cold season. Off season? What off season?! I’ll go through a couple of things we’ve found interesting or exciting as we move into the less hospitable climes below. If any of these things spark some excitement in you, you know where to find us (it’s in that red building there. We’ll be here!) — We’ll also be going over some fun gift ideas in the coming days, because we know all too well that it can be hard to pick out the right thing for the cyclist in your life that seems to have it all! The idea of indoor riding can be a tough one to get jazzed about. Anyone that’s done it at length can attest to it: Whether you’re watching a movie, listening to music, or staring at a concrete wall, there’s just something about riding on a trainer or rollers that falls well short of the pure joy of riding outside, feeling the wind in your face as you come across new terrain. Thankfully, the companies that make these trainers and rollers also realize that they’re making glorified torture devices and have made developments to make your time spent sweating it out indoors more engaging. Enter the smart trainer. What makes a trainer smart? Well, a smart trainer is different from a regular trainer in that it is equipped with either Bluetooth or ANT+ wireless capability, which enables you to connect to a tablet, computer head, or phone. 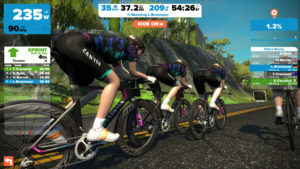 All of your ride information – mostly power – is sent to your tablet (or whatever), where you can either simply track your efforts more reliably to optimize specific training, or (more excitingly) use it with an app such as Zwift (shown to the right) that allows you to ride in real-time with friends or strangers in a race simulation. 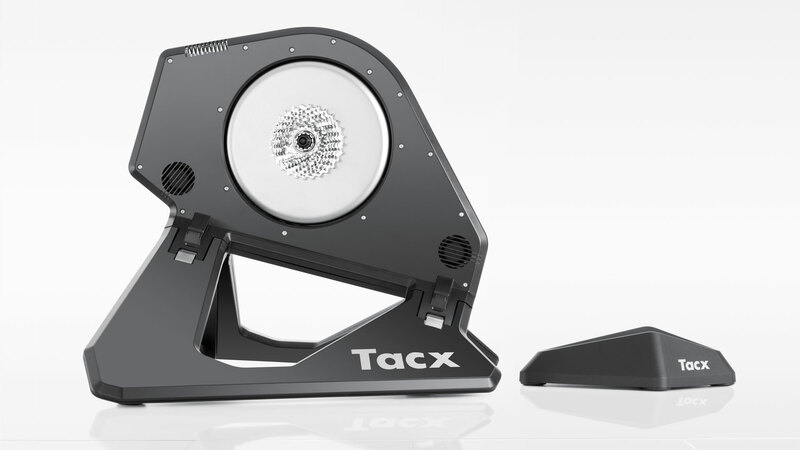 It’s like a video game, but with much more involved physical input. We’ve seen a few of these roll through the shop. The most popular has been made by CycleOps, who offers their own proprietary Virtual Training program, which will help you parse through the mountain of data you’ll be gathering. This would be perfect for an aspiring racer, a numbers-cruncher sort of person, or someone whose interest is in the most efficient workout possible. Another model that we’ve been impressed by is the Tacx Neo, which is pictured above. 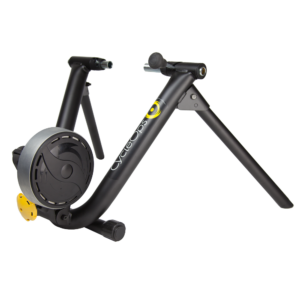 The Neo allows you to mount directly to the trainer, which in time will spare you from having to replace a tire worn from spinning on a resistance unit all winter. We’ve also been interested in checking out the Wahoo Kickr, and would love to help you get your hands on one. Wahoo is known mostly for their training software and were leaders in integrating smartphone compatibility to their product line. If you don’t think you can get into riding indoors, you might find yourself looking for something a little more capable, something that will get you outside NO. MATTER. WHAT — Something that can float over fresh powder and dig into icy corners, that’ll tame the rutted-out bike paths and make snowmobile paths and cross-country trails something that you won’t find yourself longing for in the deep, dark winter. So, let me introduce you to the Fat Bike. Maybe you’ve been made aware of them, or surely you’ve seen one around. Relatively new to the industry-at-large (formerly, it was something reserved for bicycle-iditarod riders and available only at custom-bike pricing), the popularity of these all-weather machines has exploded in the past few seasons. Why have they become so popular, you ask? Well, a couple of reasons. Firstly, anything that can turn a 3-season activity into a year-round one should be welcomed as the miracle that it is. Second, it’s as useful as a commuter’s weather-taming warrior as it is an off-road mountain bike shredder as it is a fully-loaded touring bike. Third, look at it! It’s just pure fun. Anecdotally, these things cause more grown adults’ faces to light up with joy and wonder than really anything I’ve ever seen in a bike shop, and not without good reason! They represent an infinite possibility, a limitlessness. We stock Trek‘s iteration, the Farley. 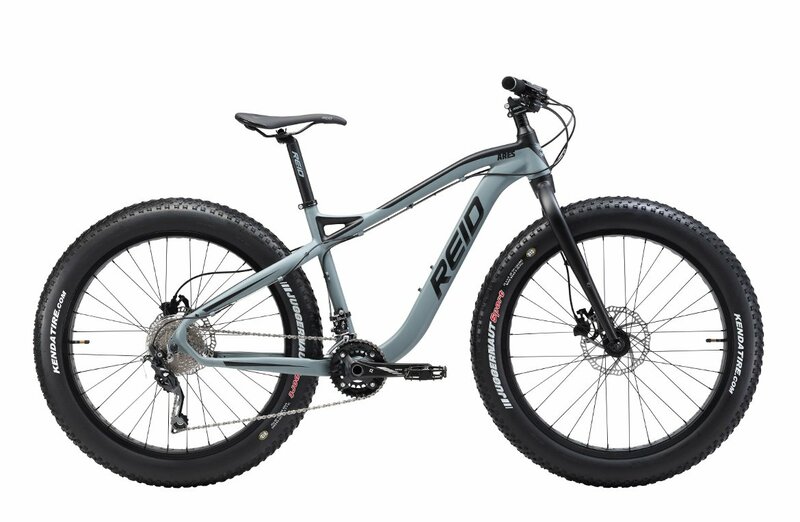 Pictured above is the bang-for-buck ripper, the Farley 7, whose parts are all a notch or two above the 5, while retaining a great value, as it still features an aluminum frame, rather than the pricier carbon. As with all their products, the frames carry a lifetime warranty, so the limitlessness and possibility can extend to real life! Reckless abandon! Subject it to the rawest of raw conditions, it’ll be fine! 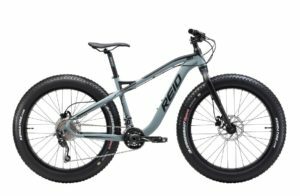 Another option is the Reid line of fat bikes. They’re a company out of Australia, and their bikes are a little different, as far as geometry goes. The Ares, pictured to the right, is the model that we’ve stocked, and have been happy with it as more of a get-around sort of fat bike. 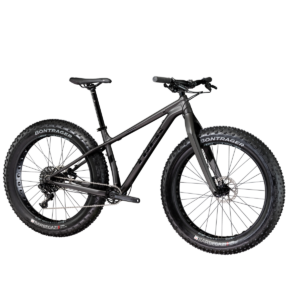 It won’t accommodate as bulky a tire as the Farley will, but what it will be is perfect for the icy bike path, or navigating back roads through whatever snow we’ll end up with. Definitely no slouch in the fat bike game, Reid is worth a look. 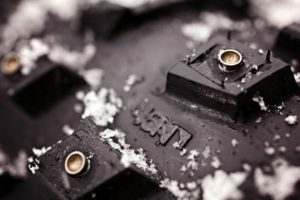 For deep-winter ice-season sorta riding, you may want to consider a few other things, such as studded tires (a 45NRTH studded variety is pictured here), winter-specific cycling shoes, thermal clothing & gloves – The list goes on. You can be confident that we hate winter enough to know the best tools necessary for fighting it off and keeping you on your bike through the thick of it, so please stop by if you have any questions about how to make your fingers not so numb at the end of a ride. We’ve tried it all and are happy to share with you our frostbitten and frozen war stories. Laughing Dog is open through the winter, Mon-Thurs from 10am-6pm, Fri-Sat 10am-5pm. We’re closed Sundays until April. Now is a great time for your regular suspension service or to begin building up your dream bike. Stop by anytime, we look forward to seeing you!